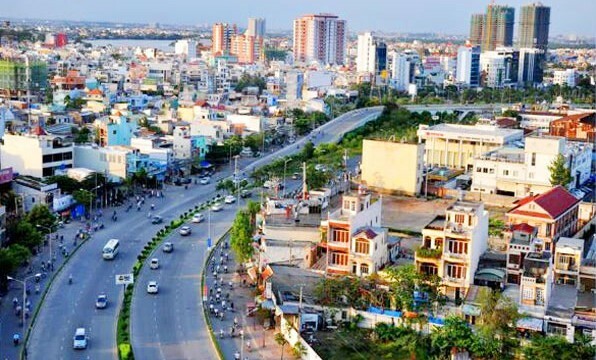 Binh Thanh district has good road connectivity to other regions such as District 1, District 3, Phu Nhuan District and Go Vap District. From the center of Binh Thanh District, it takes about 10 minutes with a motorbike to reach the center of Ho Chi Minh city. This district has an essential contribution to the city’s economy. 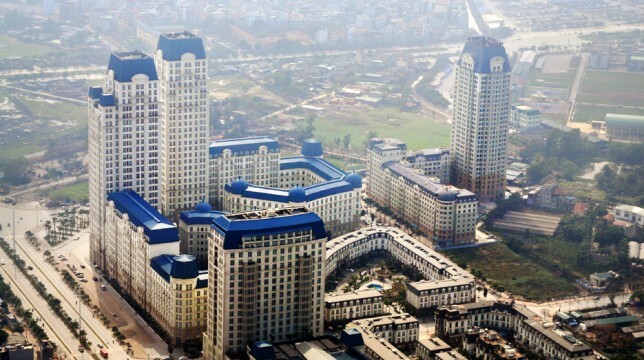 There are more than 480000 people residing on more than 20 km2 of Binh Thanh district. This density of population has led to the expansion of various construction buildings structures such as office buildings and apartment buildings for rent. 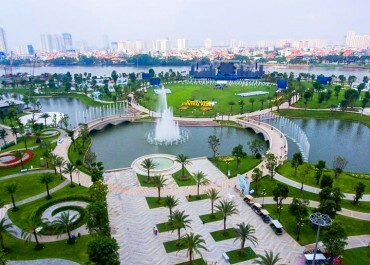 Here in Binh Thanh you will see many essential needs such as education, healthcare, entertainment, shopping quality of the infrastructure is maintained at a high level. Every family can be satisfied with the development of infrastructure, housing life and services very well. 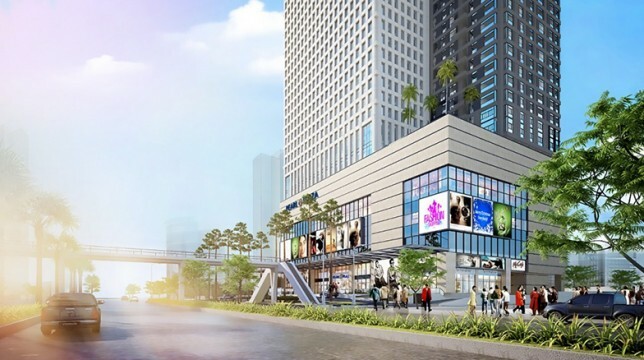 The most famous commercial landmark of Binh Thanh district is the Landmark 81, located in the Vinhomes Central Park. 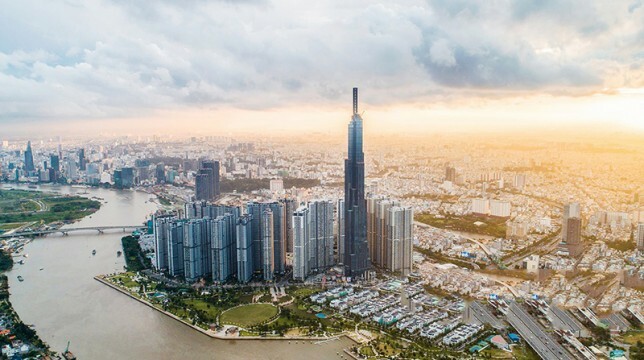 Landmark 81, which is 461 meters tall with 81 floors, is the tallest building in Vietnam and also in South East Asia. The Landmark 81 is the symbol of wealth and prosperity in the area. 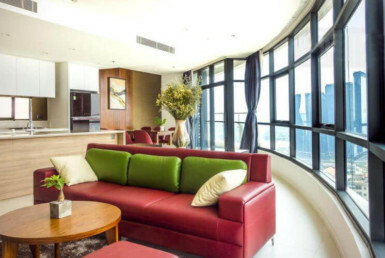 Nonetheless, the Vinhomes Central Park area also has a high concentration of Expats. 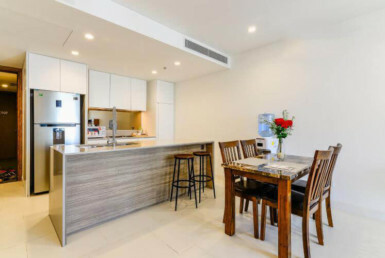 who come to live and work in Vietnam, thanks to the highest 5-star living arrangements standard that Vinhomes Central Park for rent has offered. 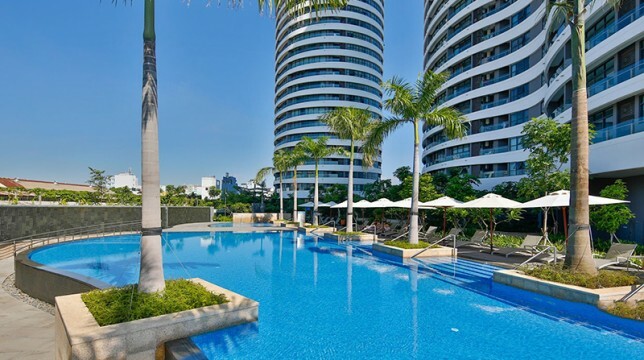 Sai Gon Pearl is the masterpiece of architectural work. The high-righ building blocks are located on the separated roads which avoid the noisy and heavy traffic of the regions. 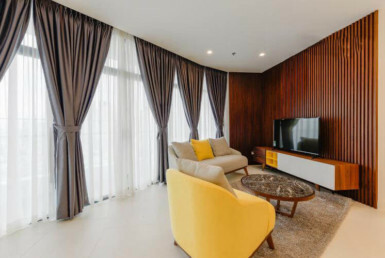 Thanks to the prestigious location nearby the Saigon River, Saigon Pearl offers a complete all-green and eco-friendly living area, along with 5-stars living standard in every block of the apartment renting complex. 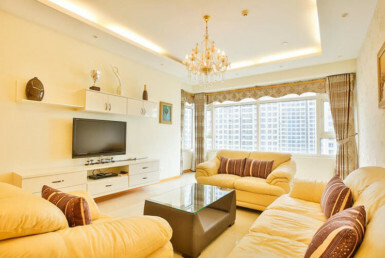 City Garden defines the fine art of luxury living with the unparalleled design level. 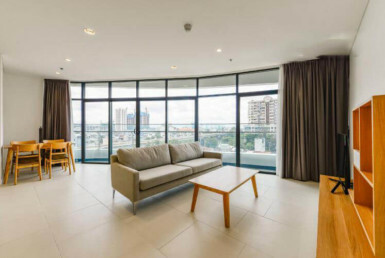 The central Penthouse at the City Garden brings out the sophisticated appearance from the first glance. 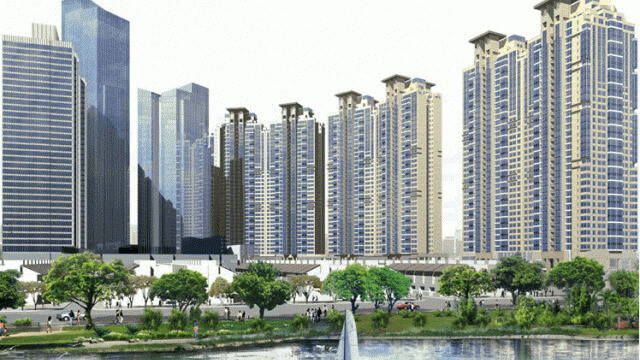 The City Garden consists of six great towers; each ranges from 21 to 30 storey property. 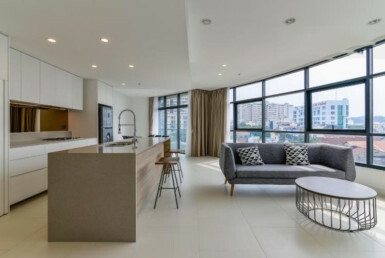 With stunning apartments combining contemporary architecture and integrated landscaping, City Garden is a spectacular location for the luxury apartment for rent in Binh Thanh district. 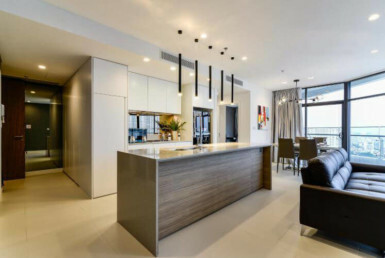 Every single detail in the apartment has been designed carefully with both solid architectural layout and marvelous interior design. 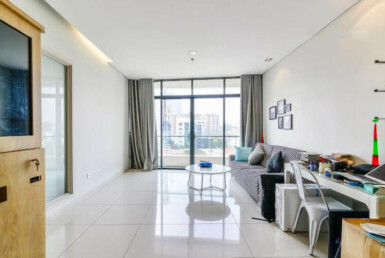 The Pearl Plaza residential building possess innovative design with a lot of apartments that have a direct view of the green atmosphere. The residence can enjoy the entire moment of relaxation in this apartment complex. 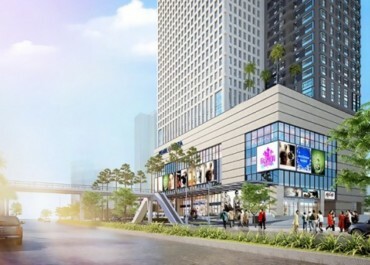 Nonetheless, the Pear Plaza is also the most bustling commercial shopping mall in Binh Thanh district, which offers its residential real estate complete features of famous shopping brands as well as the entertainment center, all located within the building. The Manor is the unique apartment complex of the district, which shows great influence of French architectural design. 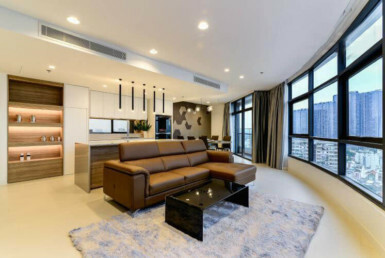 Not only the Manor offers the highest standard of high-end apartment, but the building complex also offers a complete civilized community, alongside with its modern facilities such as restaurant, shopping malls, spa, gym, etc.